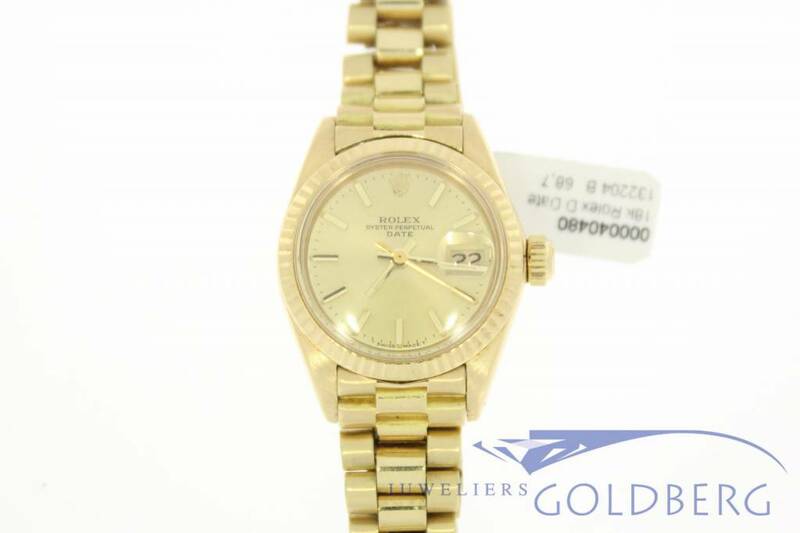 Beautiful vintage gold rolex ladies watch, Oyster Perpetual Date with gold strap. 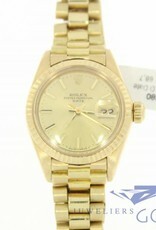 Aproximately early 80's model. 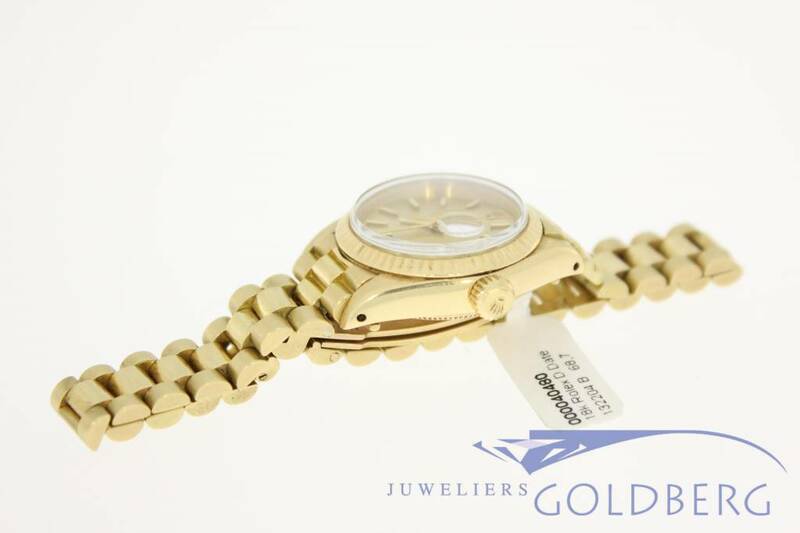 Movement in good condition, bracelet in fair to good condition. 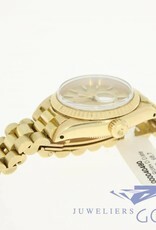 Come and take a look at this watch in our shop and contact us for possible shipping options.